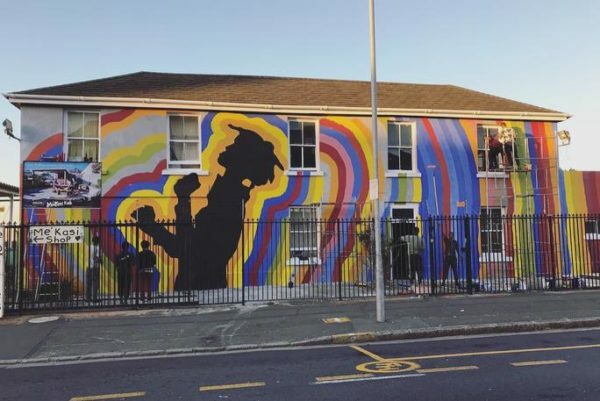 The Mother City’s streets are teeming with one-of-a-kind works of art that embody the Capetonian soul and share stories of the past, present and future. 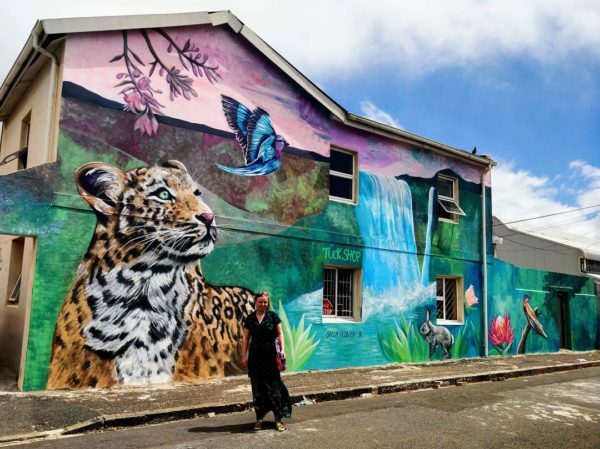 I had the pleasure of exploring the Western Cape’s street art hub, Salt River, on a guided group walking tour with BAZ-ART, an NGO that supports and uplifts the local community through art. It was a hot Saturday morning and there was not a single cloud in the sky – the perfect day for a walk through the streets, starting off with a coffee. A bright rainbow mural resonating from a dark painted silhouette calls to me from across the street as I make my way to Me’Kasi Café, where the coffee is strong and the complimentary ‘koesisters’ pair with it like a dream. As the tour begins, we are greeted by our lovely tour guide, Nadia, who asks us to stay together and prepares us for exploring the art and beauty of Salt River. Nadia explains that lots of the pieces we are about to see follow the theme, ‘nature doesn’t need us, we need nature’, and many were painted during the height of the drought and connect to our need for water. 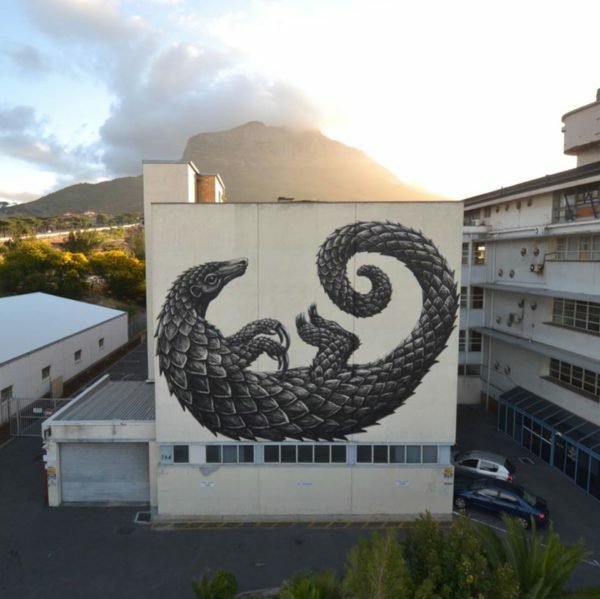 One of the first works we come across is a heartfelt portrait of the highly-endangered Cape Pangolin by Belgium artist ROA. This mural is one of the biggest in the Cape. 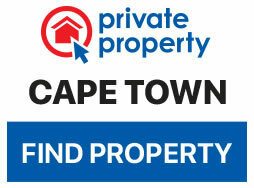 Continuing along our route and passing a number of homes, stores and other buildings, it becomes more apparent that not only is Salt River home to most of Cape Town’s street art, it is also a unique work of art as a suburb. The houses vary widely in colour, design and size, with each home’s window frames different from those of the next, and the streets and verandas are overflowing with little plants; some gutters even have actual gardens planted in them. On some of the roads you can still find antiquated oil street lamps standing tall after all these years. The art in this deeply-historical suburb connects with the people who live here. Before artists paint their murals, they present their proposed designs to the owners and neighbours of the wall to be painted and first get their input, even adjusting the design if need be to better suit the community. 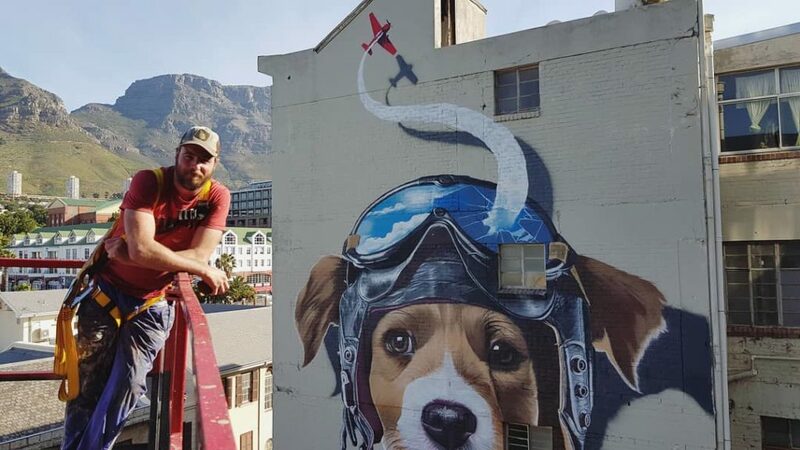 Most Salt River locals request that the mural art connects with their history and tells stories of the Mother City. 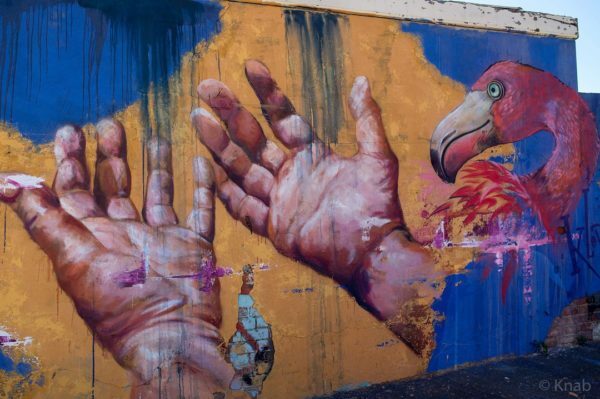 There is a plethora of different art styles to be found among the suburb streets, with art made by local creatives from Cape Town and Johannesburg as well as international artists from countries that include Mexico and France. In just two hours, we were able to see over 30 serious visual treats and take in the unique atmosphere of the community in Salt River. Many of the murals we were taken to see on the tour were painted at last year’s International Public Art Festival, an annual event where art lovers can see inspiring artists paint murals live. The 2019 International Public Art Festival will take place from 9 to 17 February and the latest theme has just been announced. If you’re interested in experiencing your own street art tour, bookings can be made here.